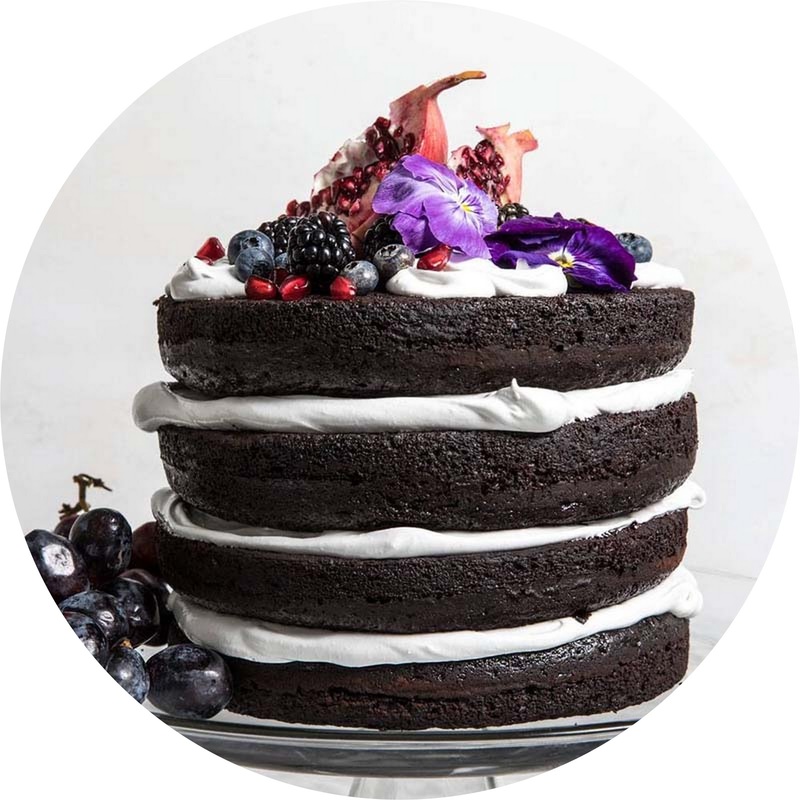 This deliciously tender dark chocolate cake is infused with orange blossom water and layered with a fluffy, not-too-sweet orange blossom meringue. To keep the cake in place, you will need three 10-inch long wooden dowels. A naked wedding cake is left with the sides unfrosted, for a rustic and natural look. 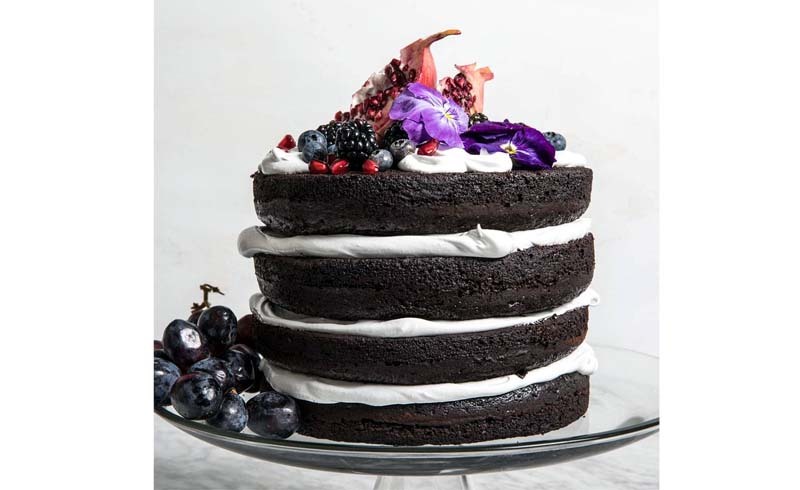 This deliciously tender dark chocolate cake is infused with orange blossom water and layered with a fluffy, not-too-sweet orange blossom meringue. To keep the cake in place, you will need three 10-inch long wooden dowels. In the bowl of an electric mixer fitted with a paddle, mix the flour with the sugar, cocoa powder, baking soda, baking powder and salt at low speed. In a bowl, whisk the buttermilk with the oil, eggs and vanilla. Slowly beat the buttermilk mixture into the dry ingredients until just incorporated, then slowly beat in the hot coffee until fully incorporated. Pour the batter into the prepared pans. Bake for 35 minutes, or until a toothpick inserted in the center of each cake comes out clean. Let the cakes cool in the pans for 30 minutes, then invert the cakes onto a rack to cool. Peel off the parchment.